This section is about upcoming workshops offered. If you have a topic that you would like covered or a presenter you would like to see, please let me know. and simplified to the point where I can easily throw 20 plates per hour without rushing. 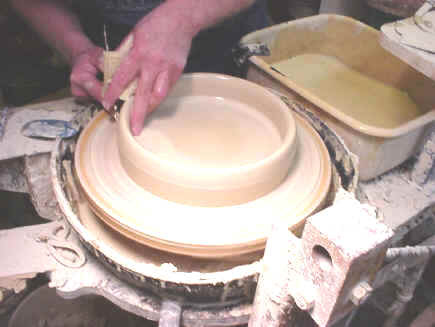 Plates begin normally by centering the mass. Flattening too begins in the normal fashion. 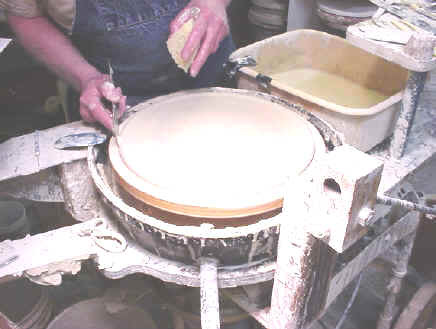 I continue to flatten the disk to a uniform thickness. 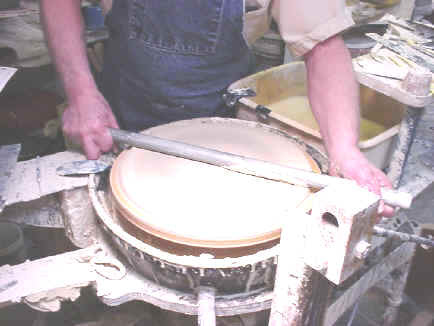 Then the even pressure on the rod assures a uniform plate thickness across the entire face. Restand begins with the restand tool. 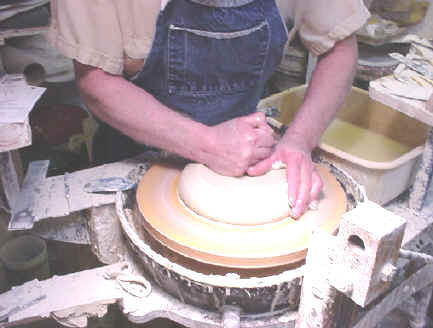 Additional Saturday workshops can be scheduled on the following topics: Refining and using local or native clays, tool making , equipment construction, high speed non contact measurement techniques, methods to reduce losses in production. I also can do workshops at your location. The fee is $500.00 per day plus transportation and lodging if required.